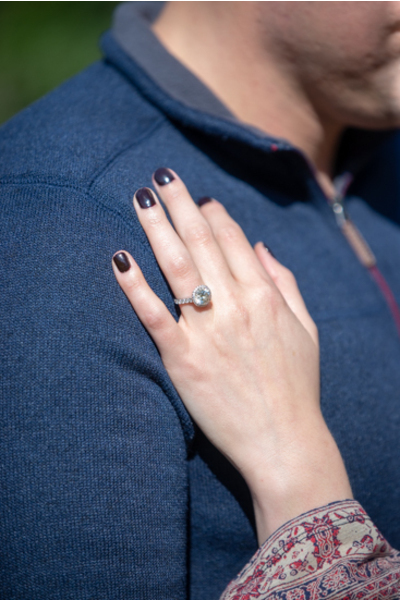 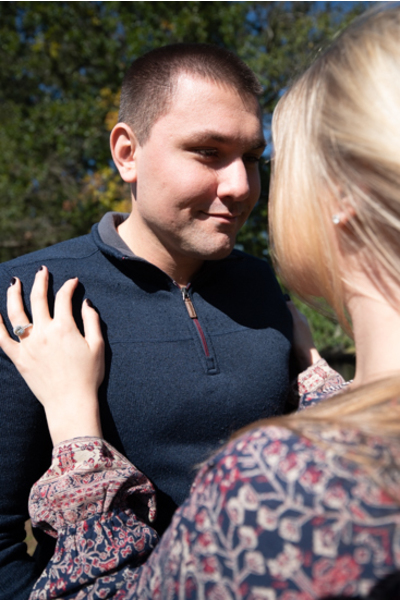 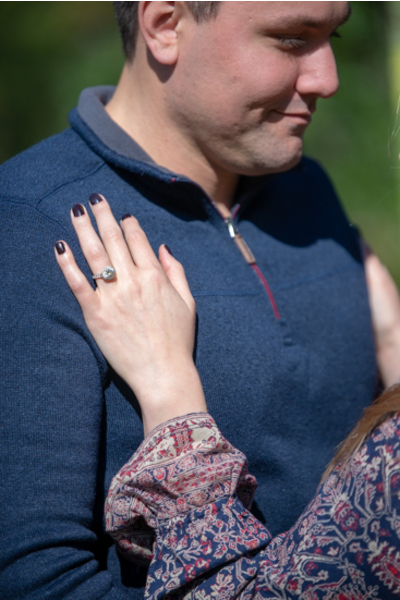 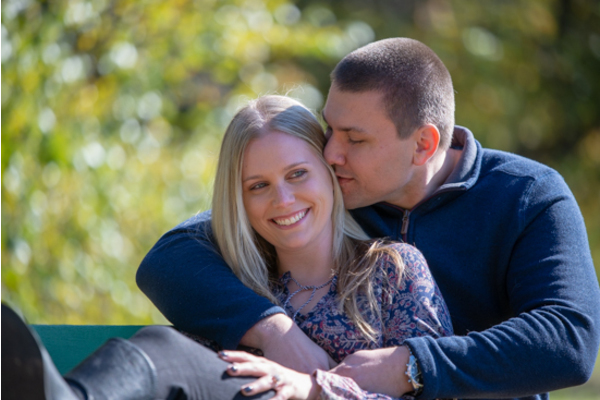 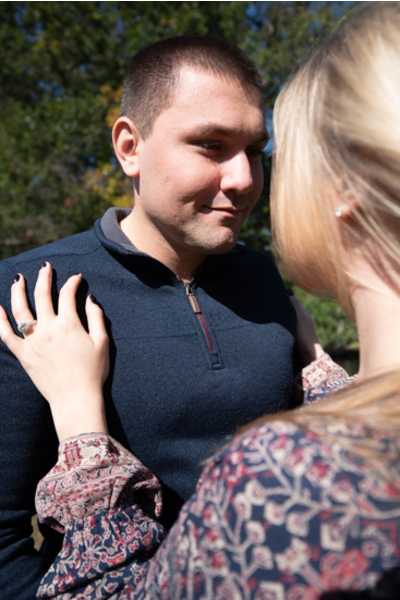 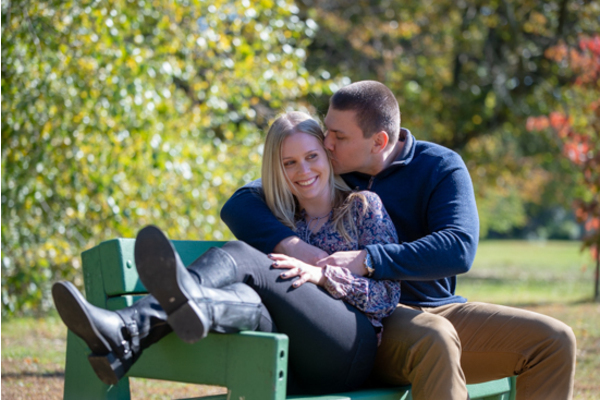 Congratulations to Brittany and Tom on their recent engagement! 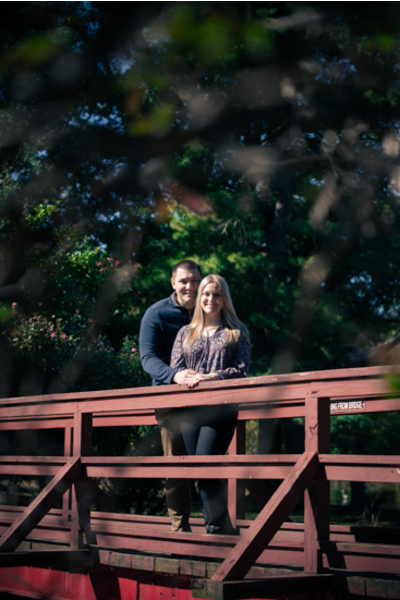 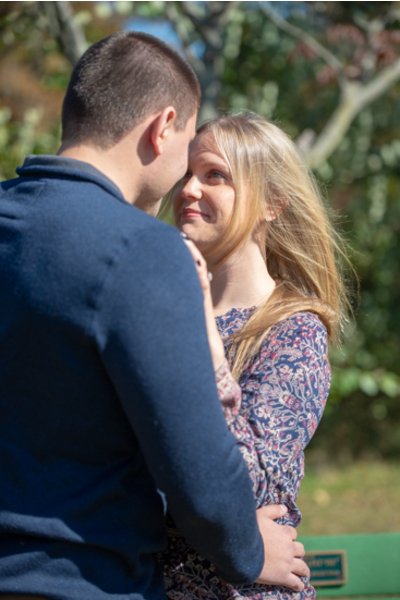 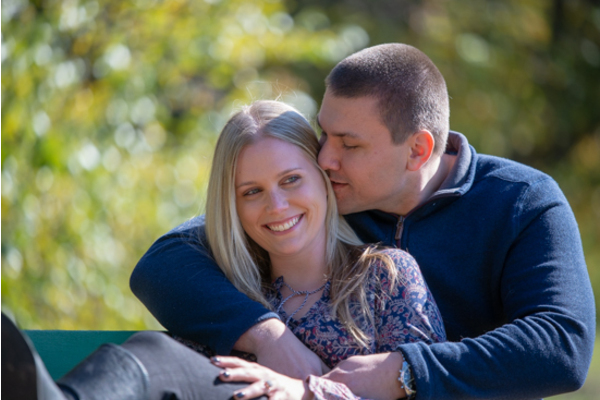 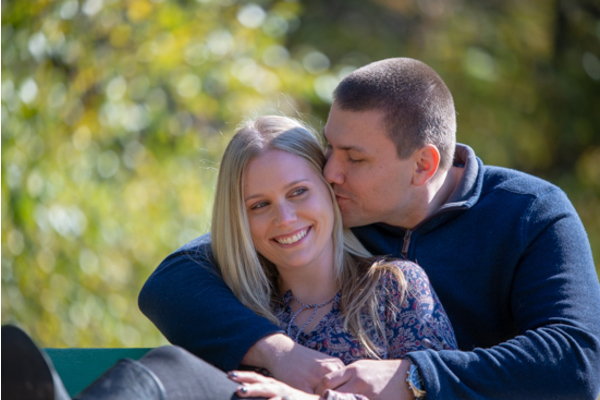 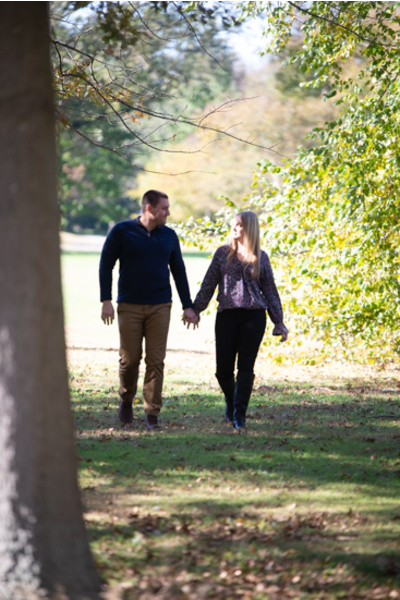 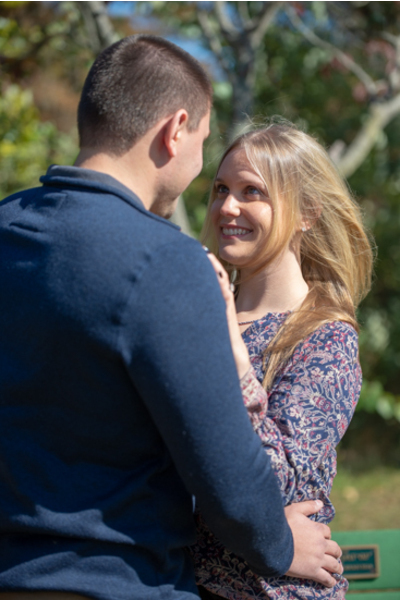 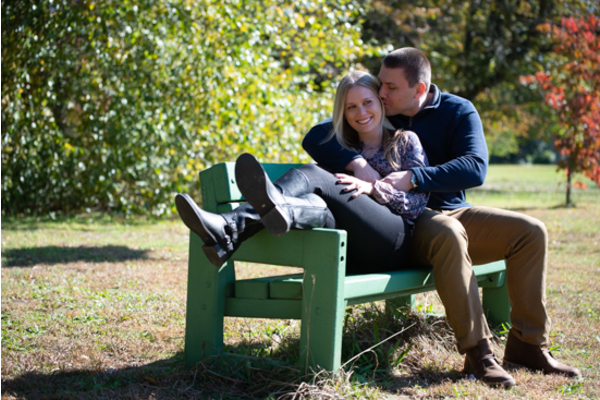 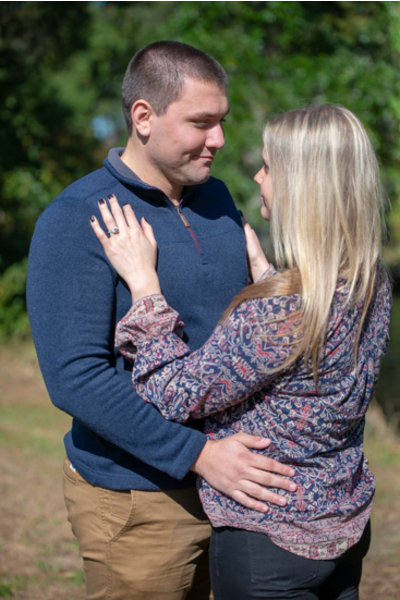 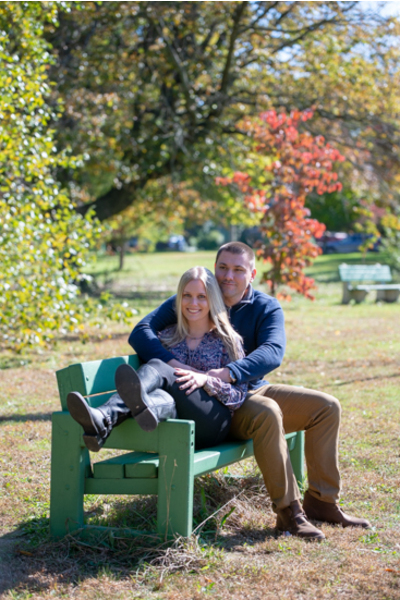 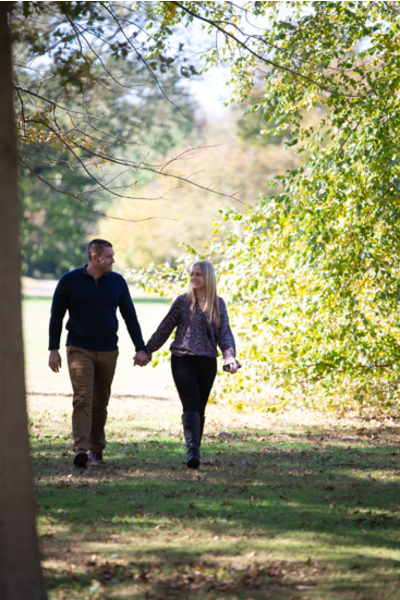 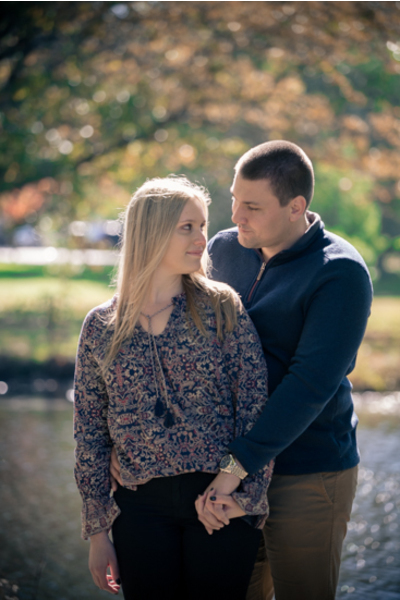 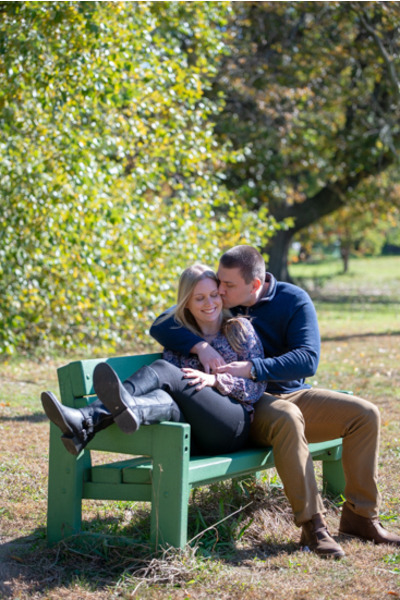 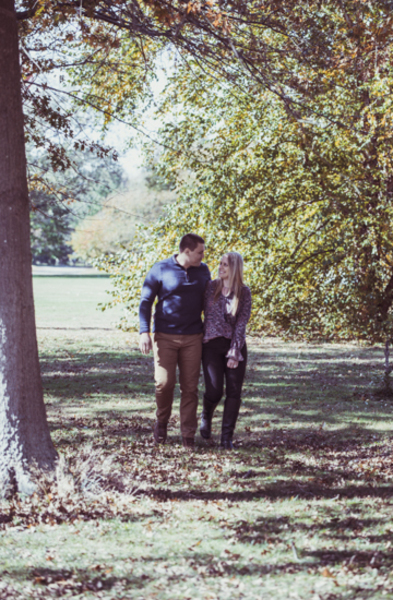 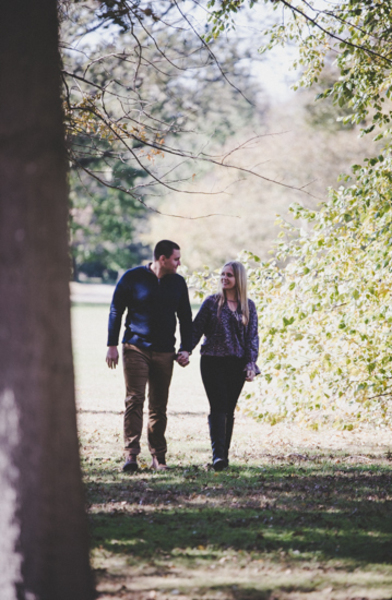 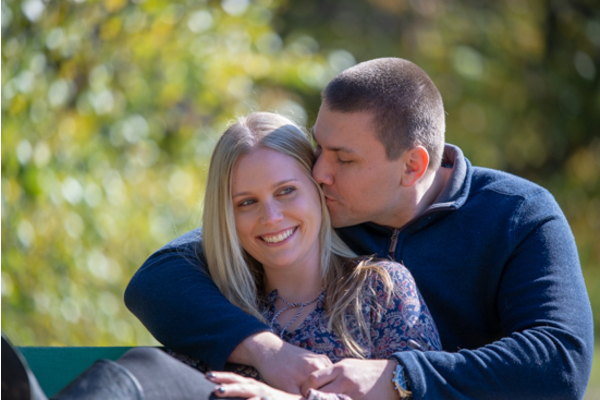 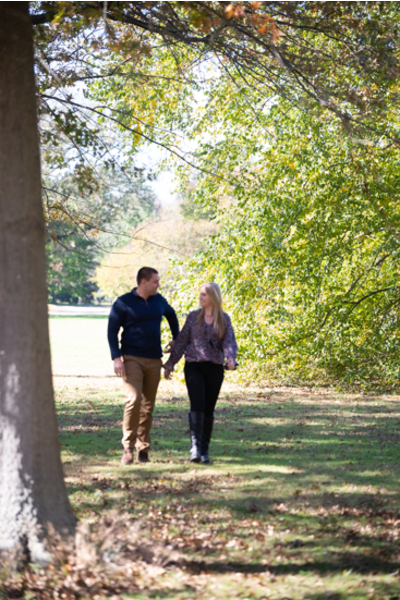 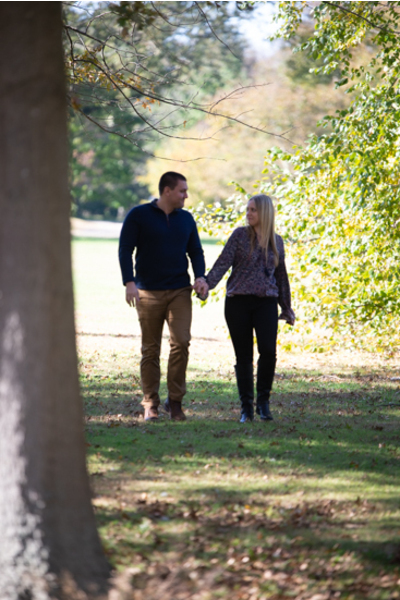 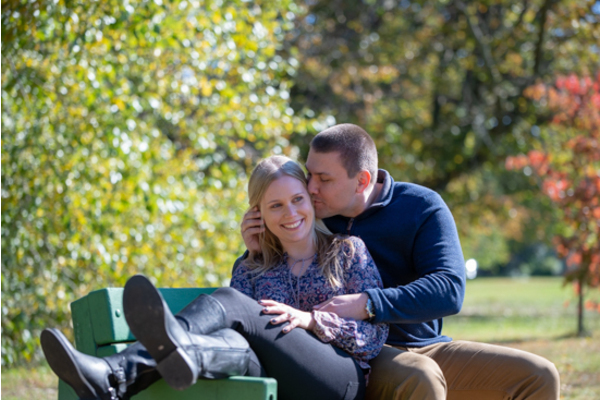 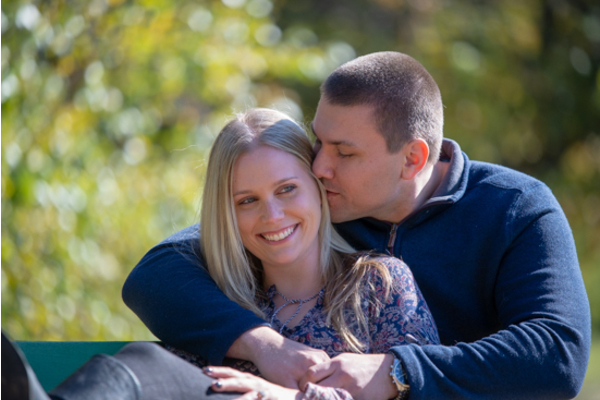 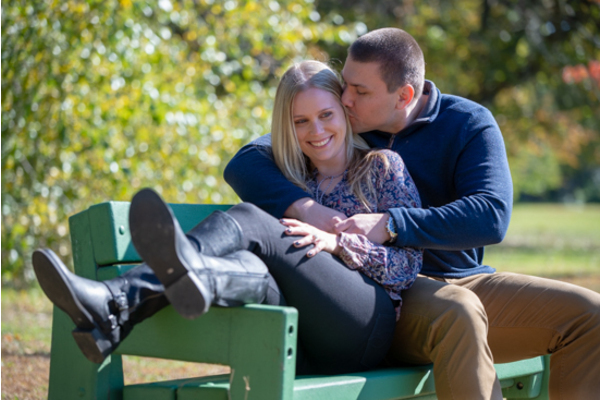 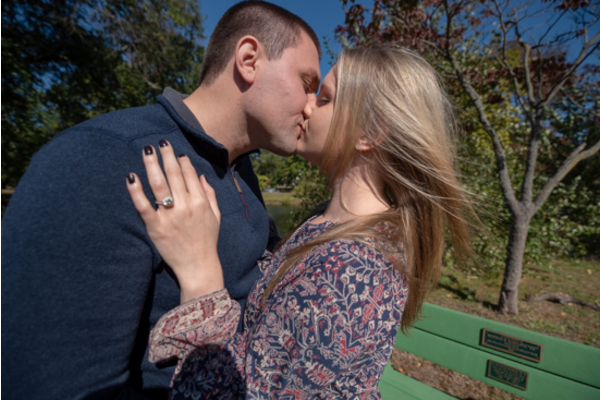 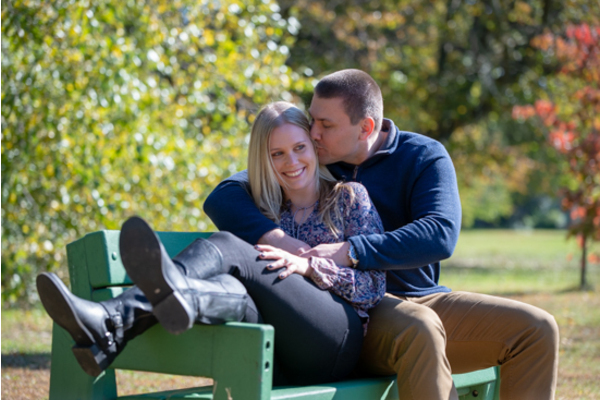 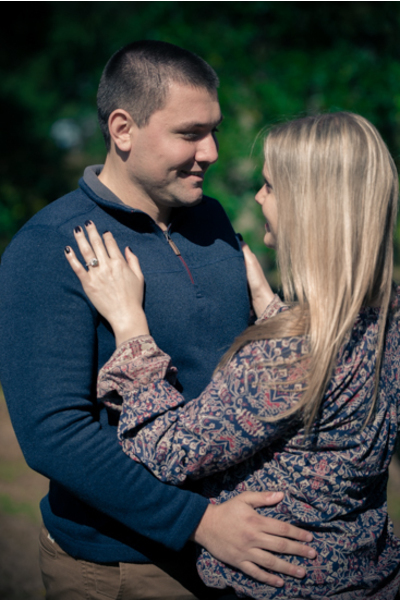 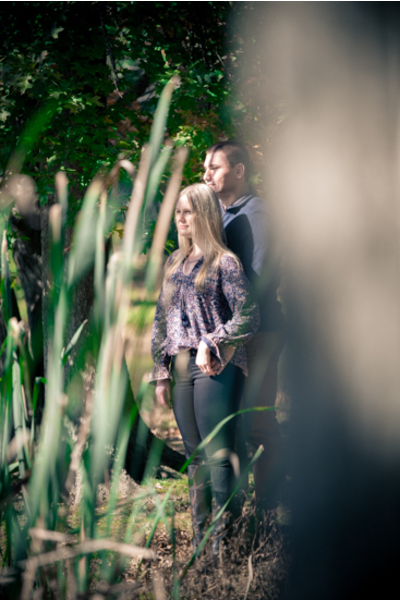 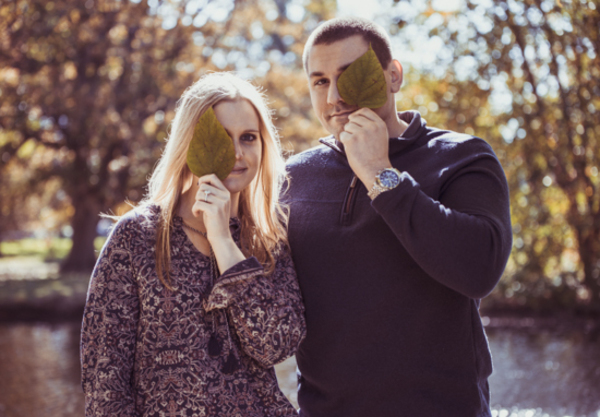 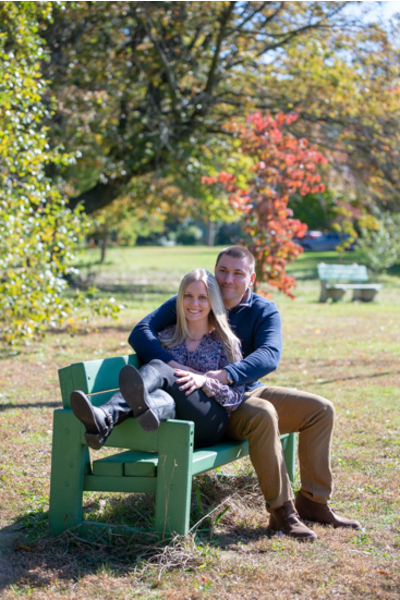 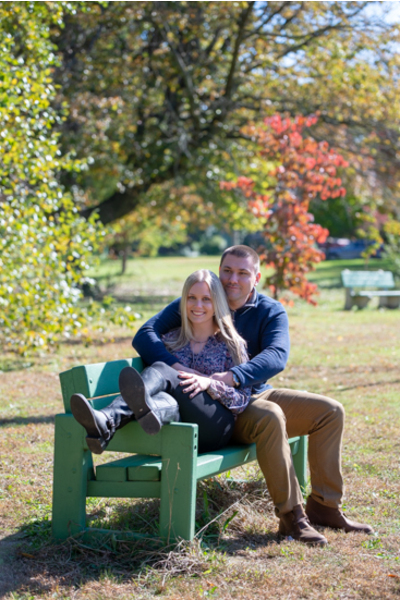 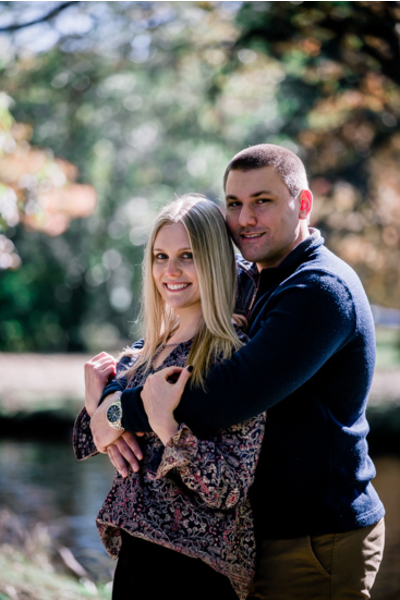 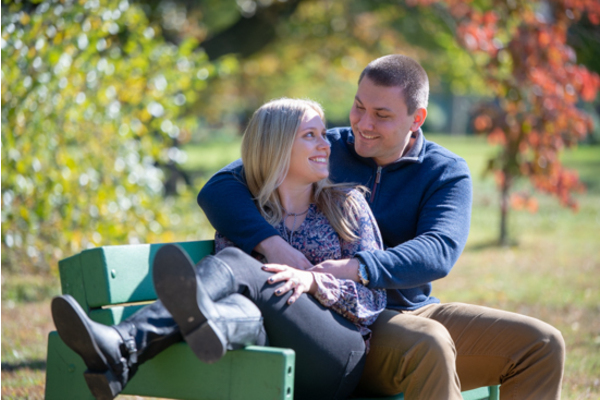 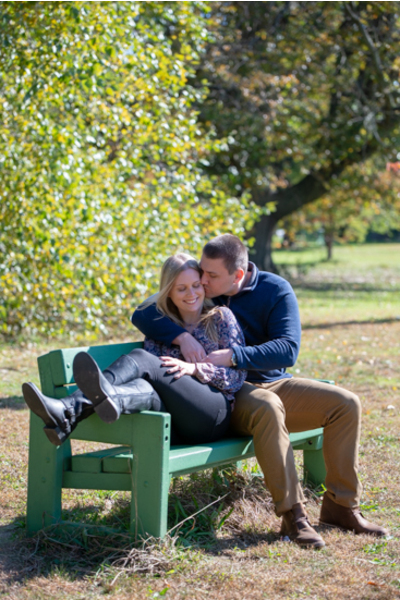 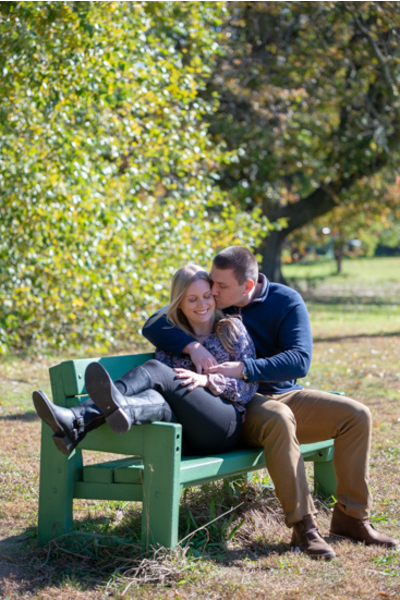 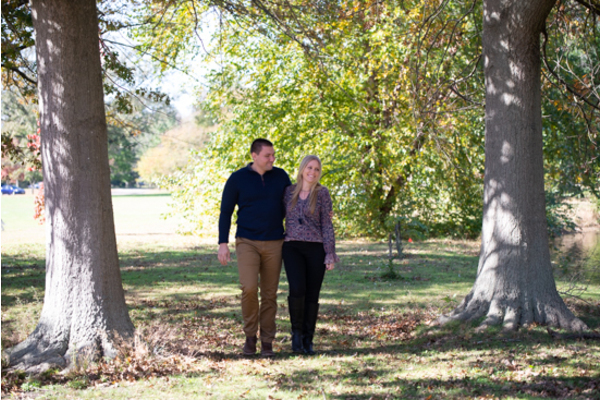 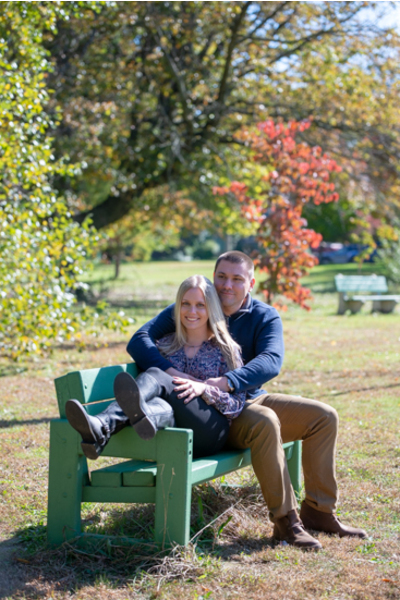 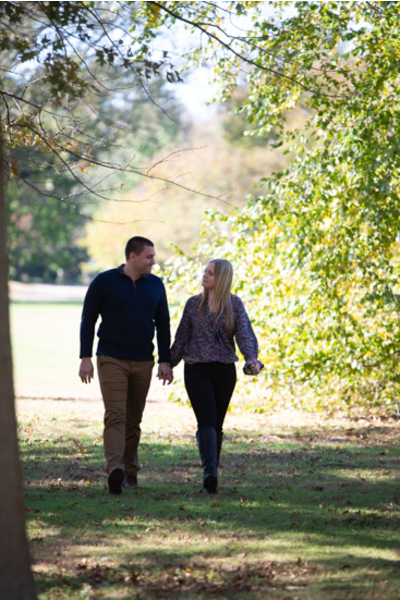 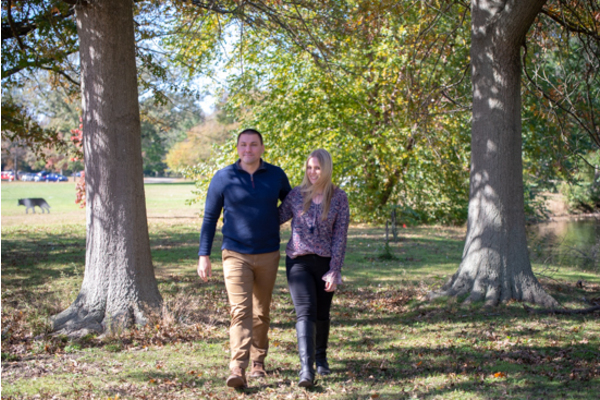 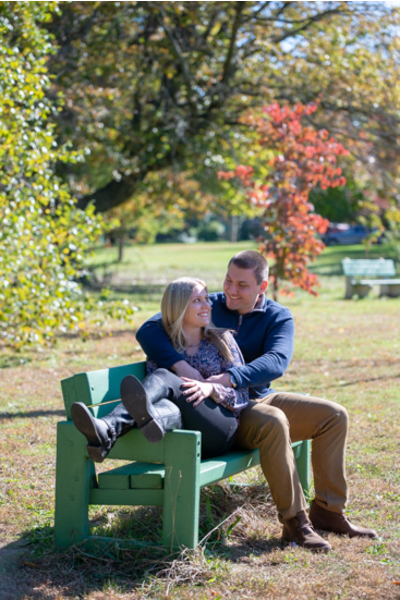 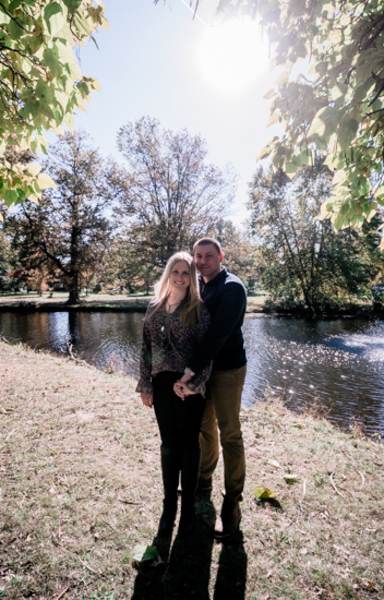 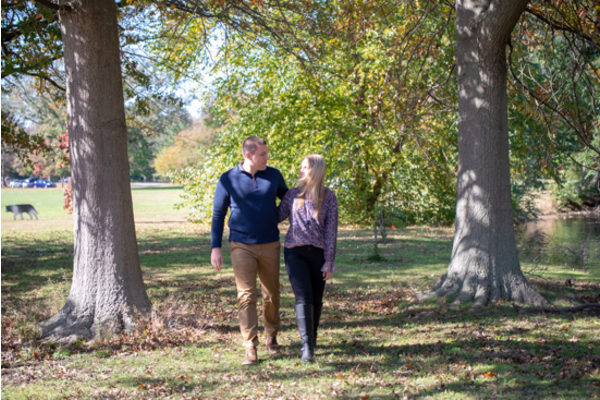 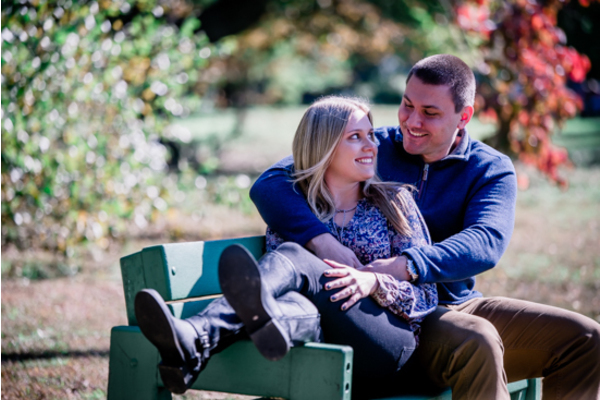 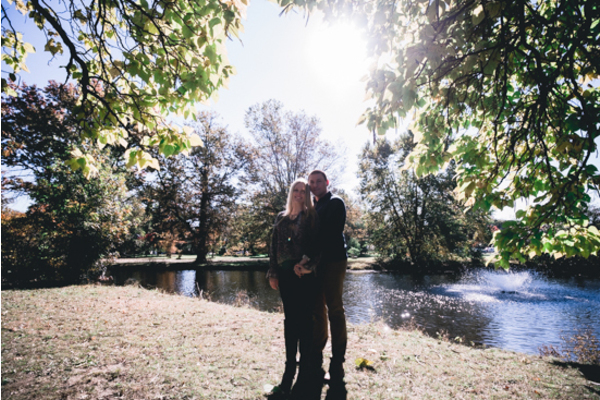 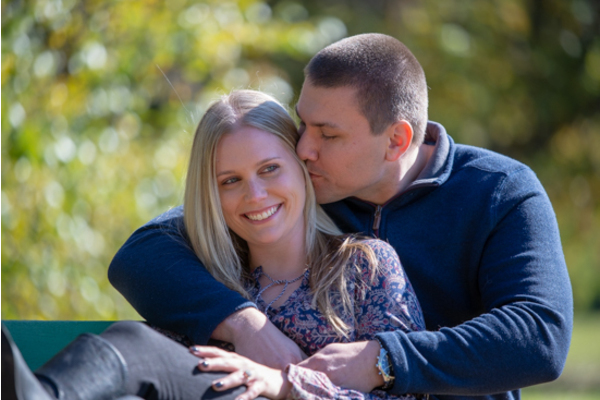 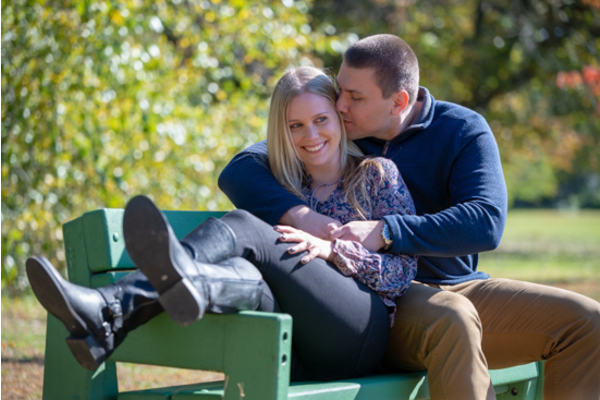 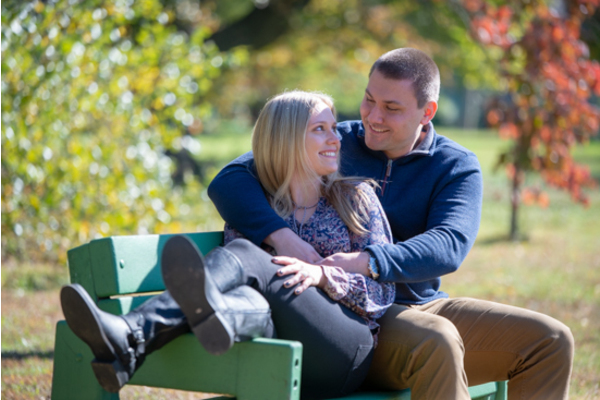 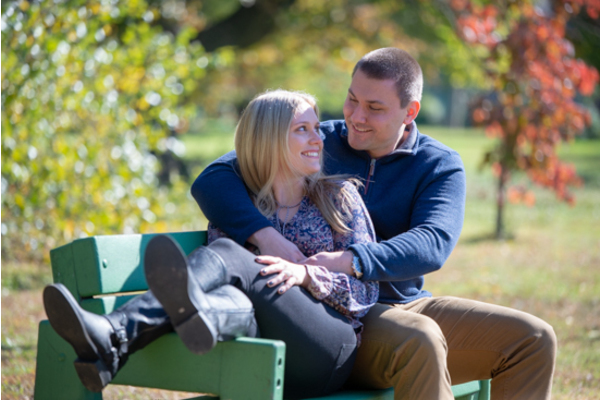 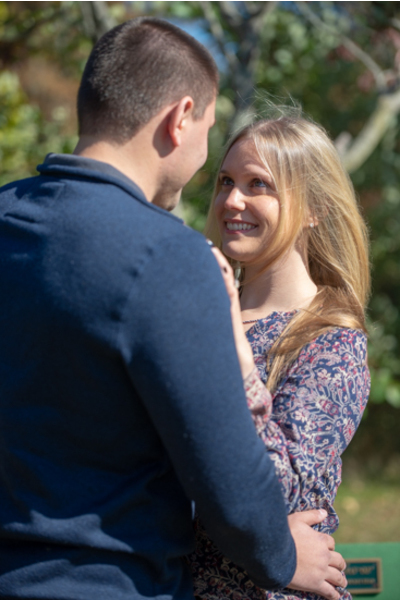 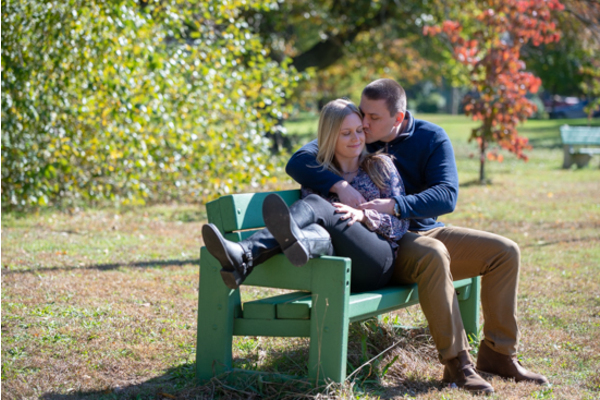 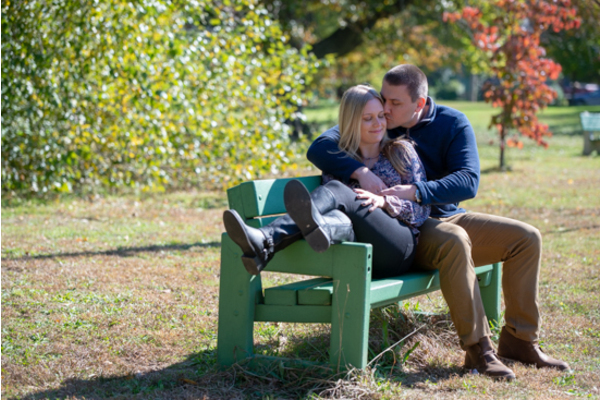 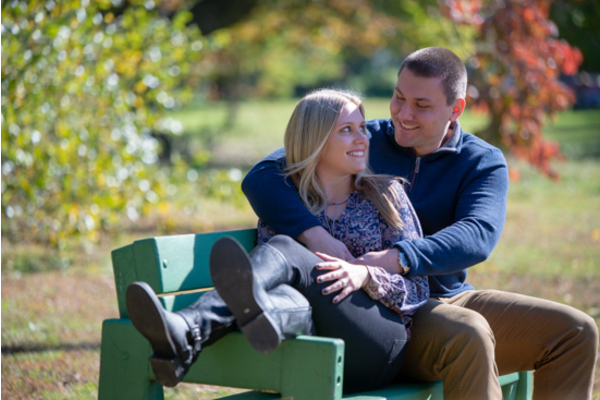 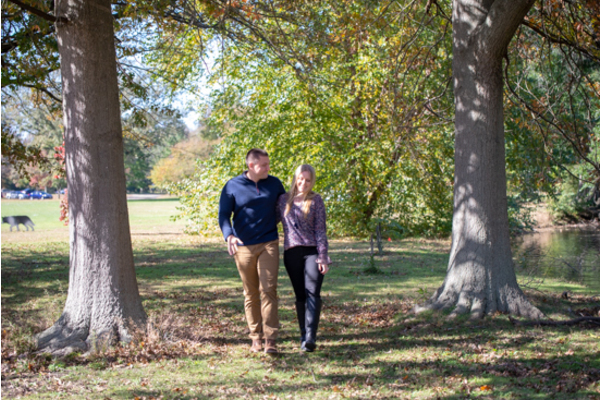 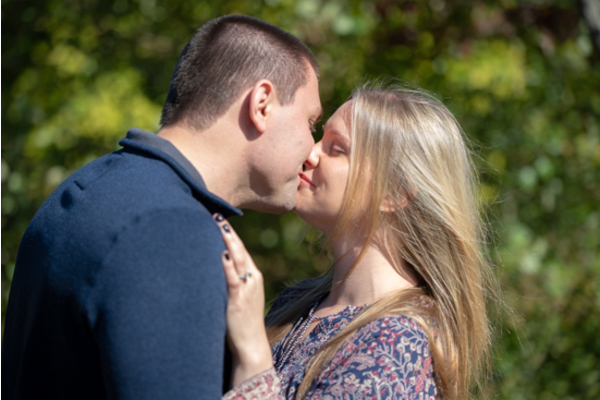 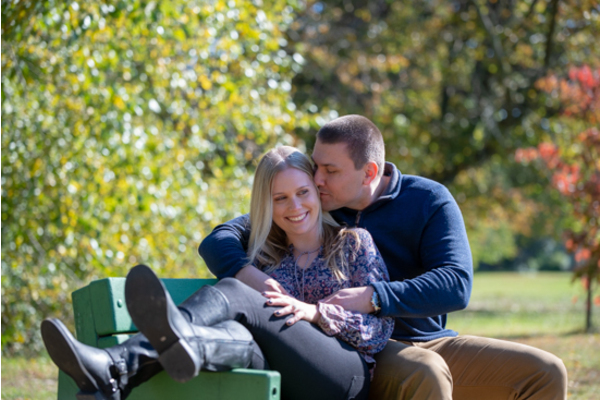 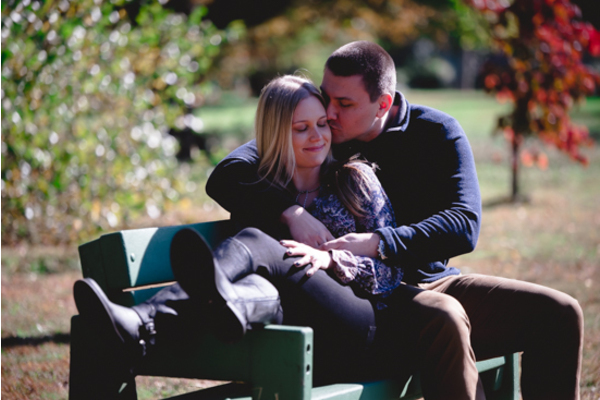 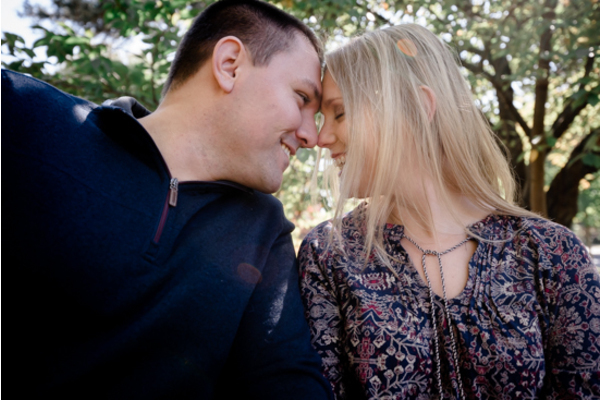 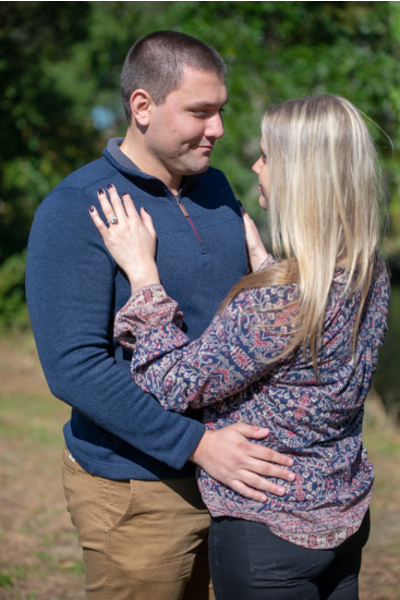 This lovely couple is set to tie the knot in October of 2019 at The Mansion in Voorhees, NJ. 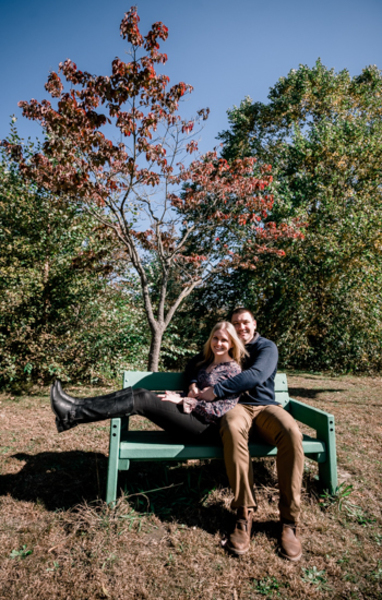 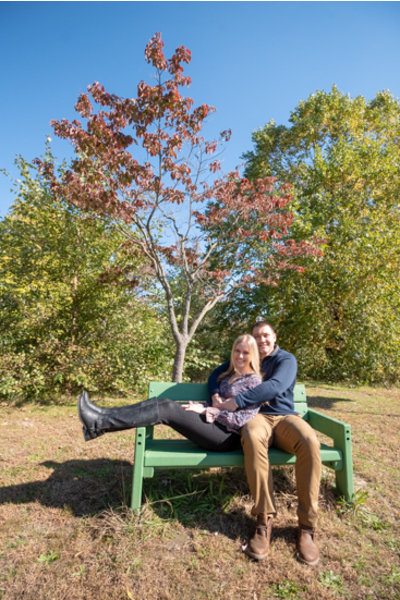 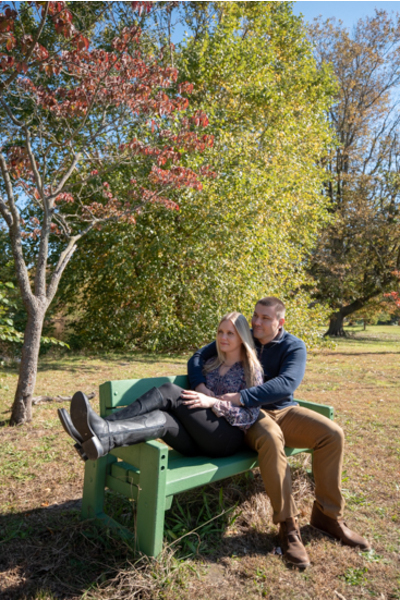 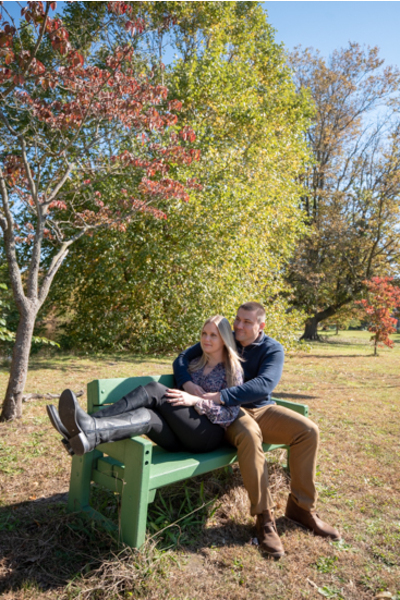 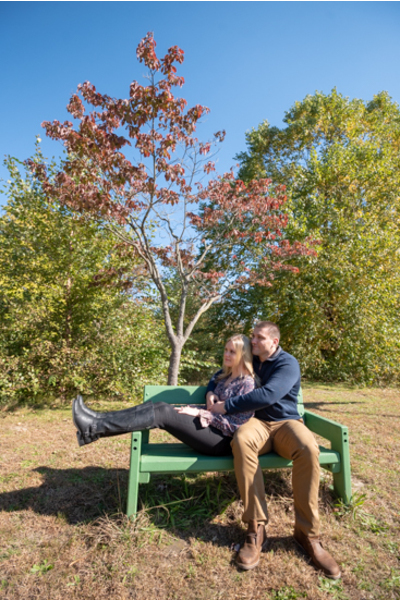 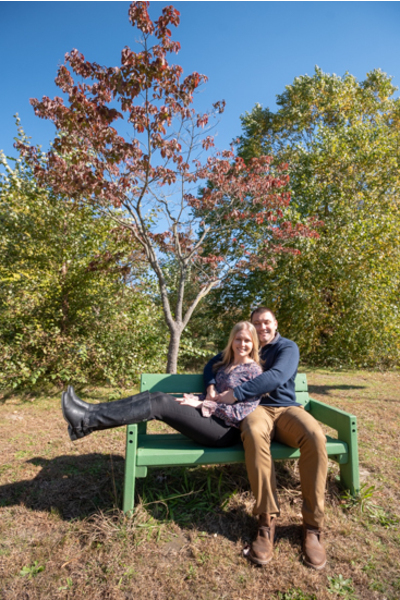 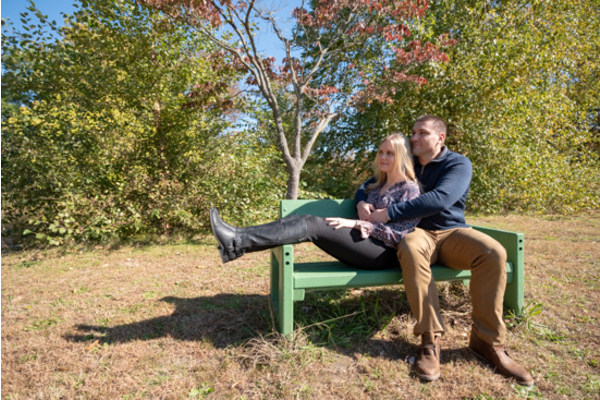 First off, our NJ Wedding Photographer was with the couple as they started their afternoon posing for fall pictures on the green bench in the park. 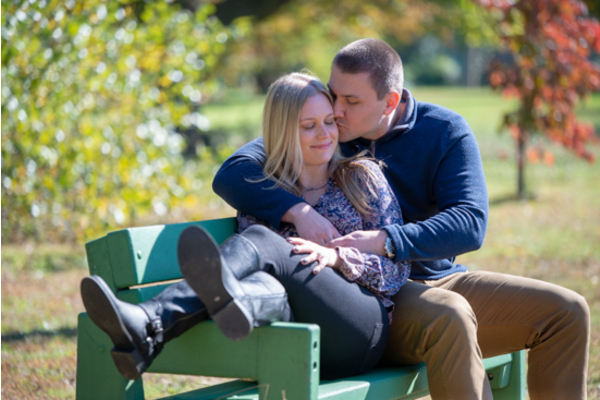 Brittany and Tom were all cuddled up, and it was easy to tell how happy they are together! 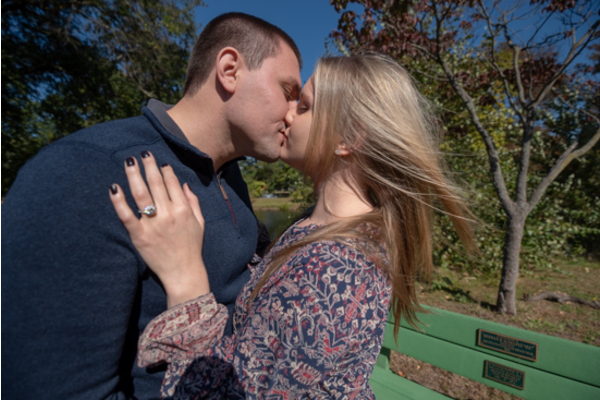 Tom kissed his soon to be wife on the head, and Brittany smiled and laughed. 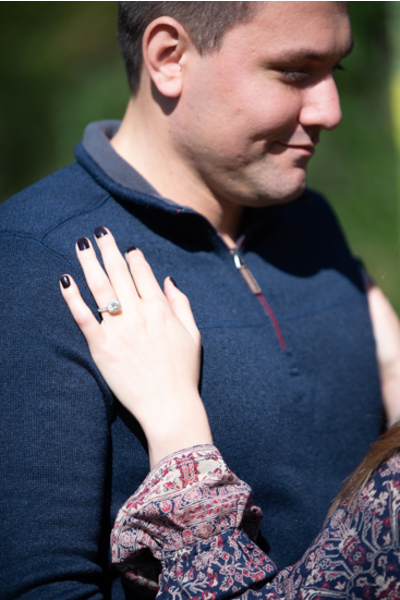 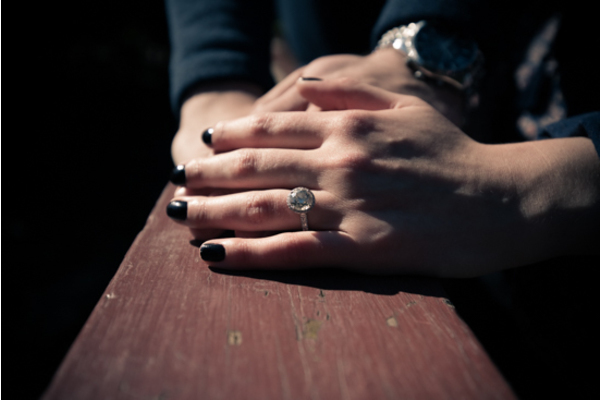 She was happy to show off her ring and spend the day with the love of her life! 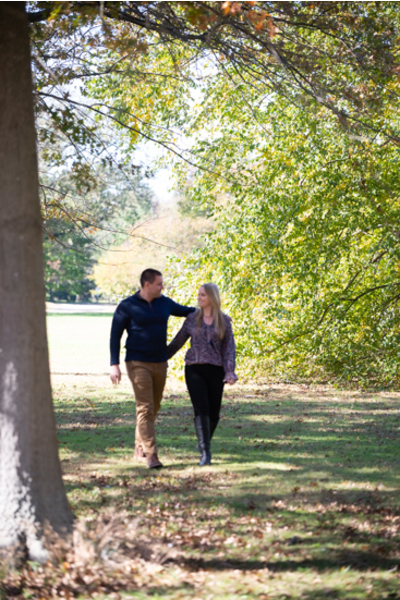 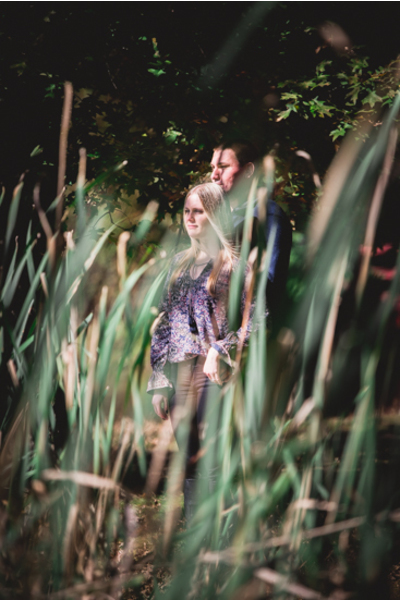 Then, they took a stroll through the tress and came across a lake. 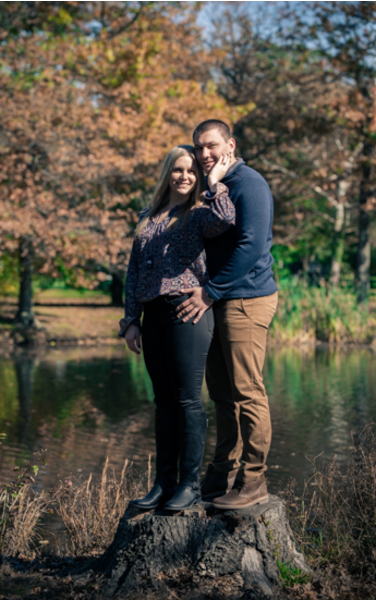 They posed against a tree with the water glistening in the background. 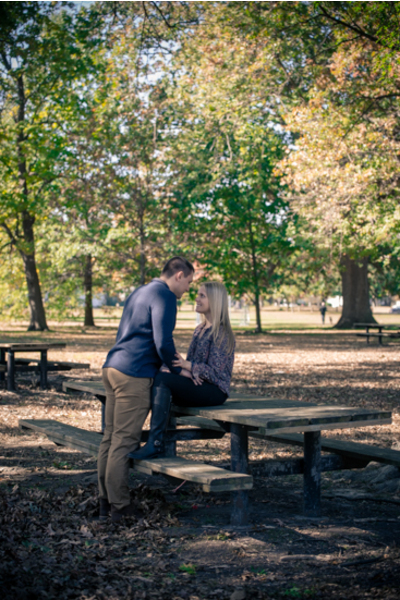 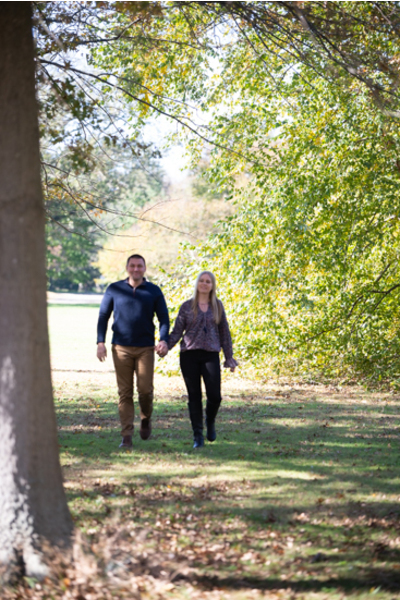 As the autumn trees began to change color behind them, the couple stared into each others eyes imagining what their wedding day will bring! 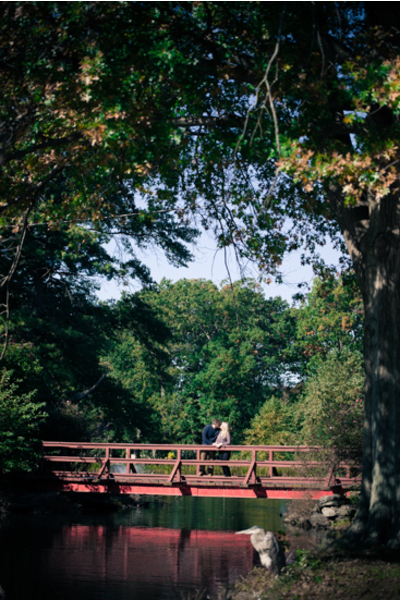 Our NJ Wedding Photographer did a fantastic job capturing the emotions from the day. 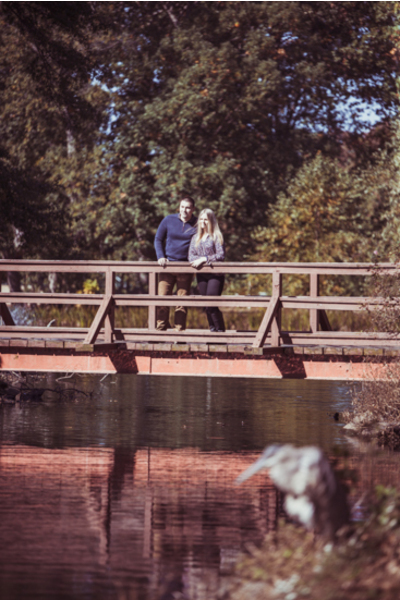 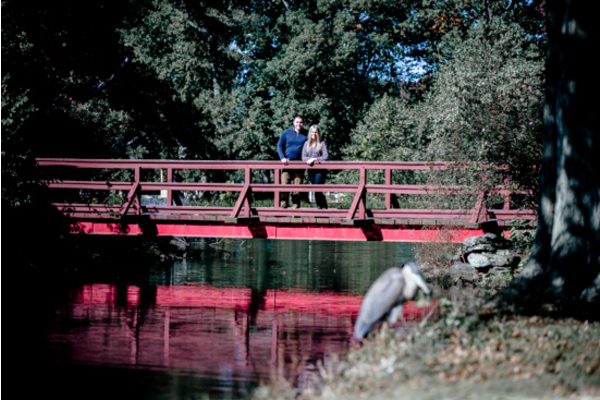 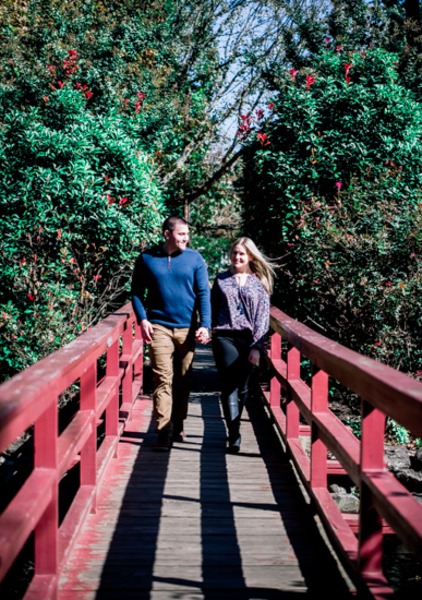 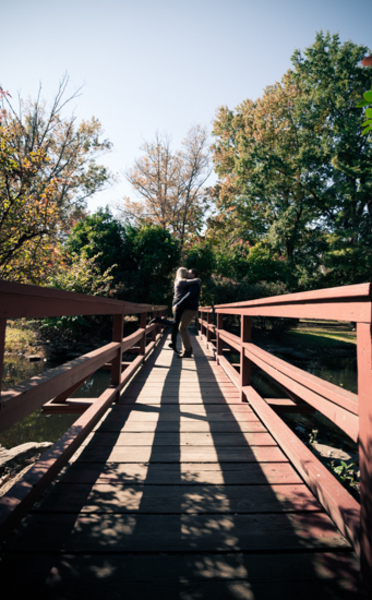 Brittany and Tom ended their journey on a red bridge above the lake. 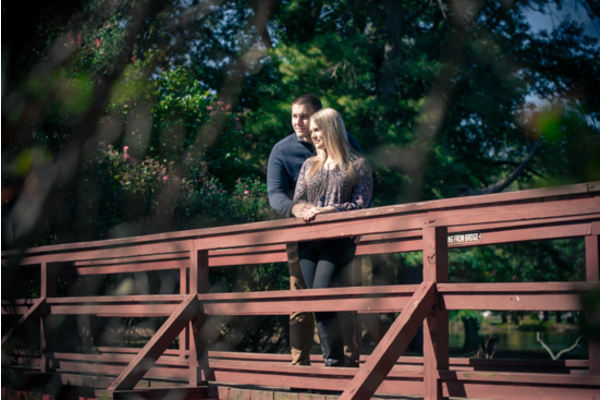 The scenery was so gorgeous, and they could not have picked a better photo shoot spot! Our NJ Wedding Photographer will be back again for their exciting wedding day! 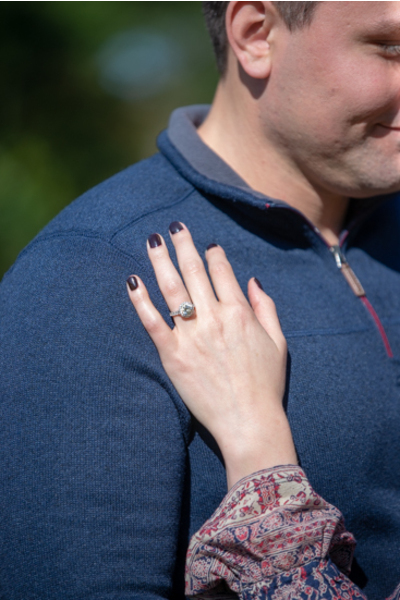 Congratulations, again, to Brittany and Tom. 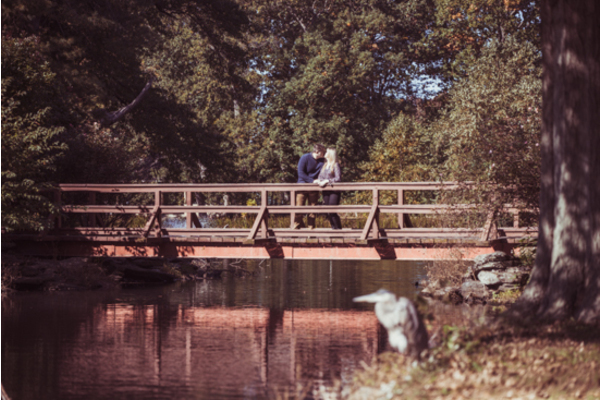 We are falling for your wedding day already!